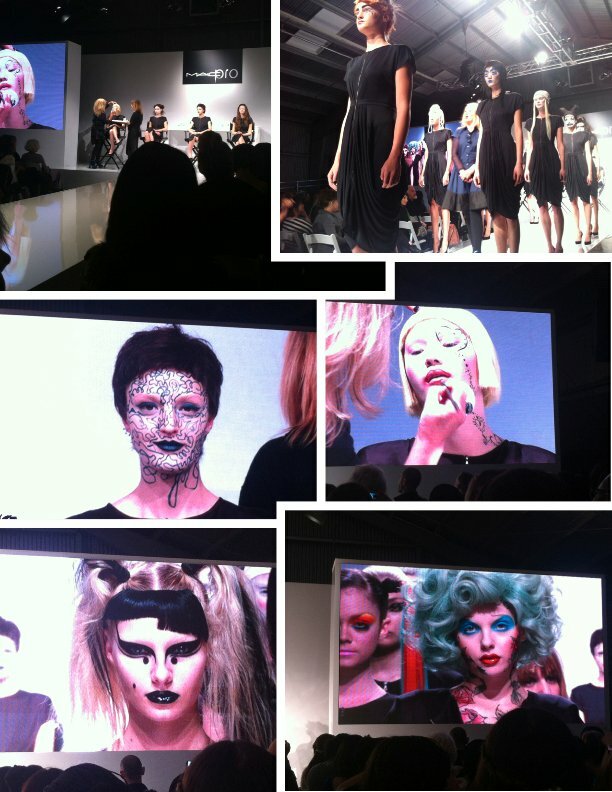 was invited to a MAC Master Class taught by the great Val Garland. 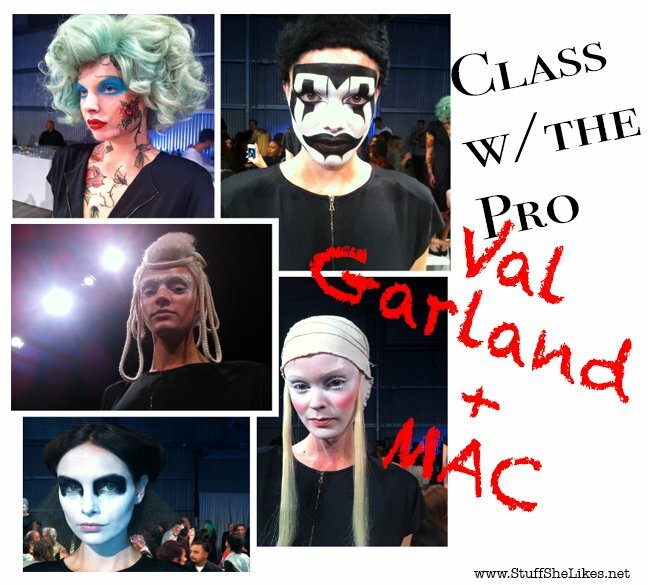 First off let me give you a little tidbit on who Val Garland is… Pro Make Up artist.. Creative Director….Lady Gaga…Alexander McQueen..Vivienne Westwood… Vogue… Got it? ..and up until this point I had no idea what a MAC MASTER class was and I had no idea who Val Garland was..
About 300 or so MAC Pro make up artists and select media are invited to get schooled by the best.. 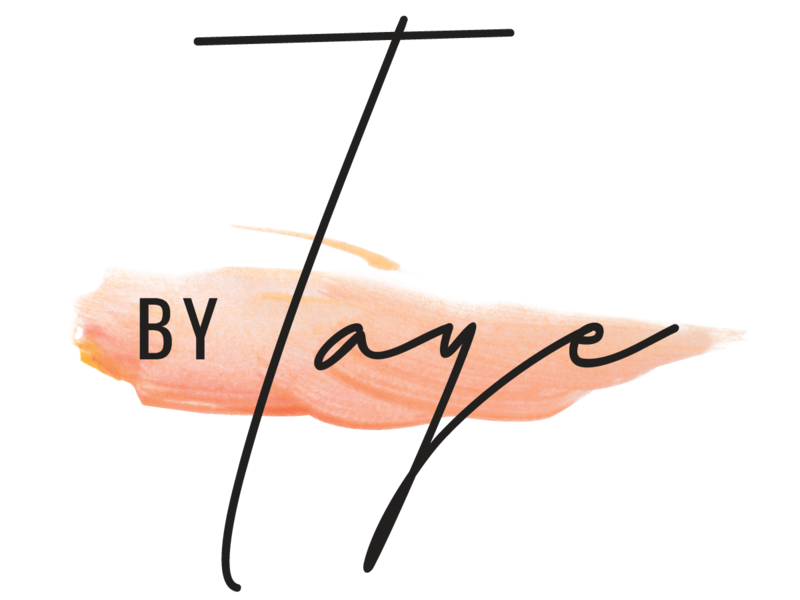 Champagne, martini’s and sushi are served..gifts are handed out and mingling is required. ..And then the lessons begin..
Val had so any amazing lessons.. Here are a few that stuck with me..
What does it take to make a great make-up artist? What’s the secret to a great lip? CHALLENGE THE IDEA OF BEAUTY. 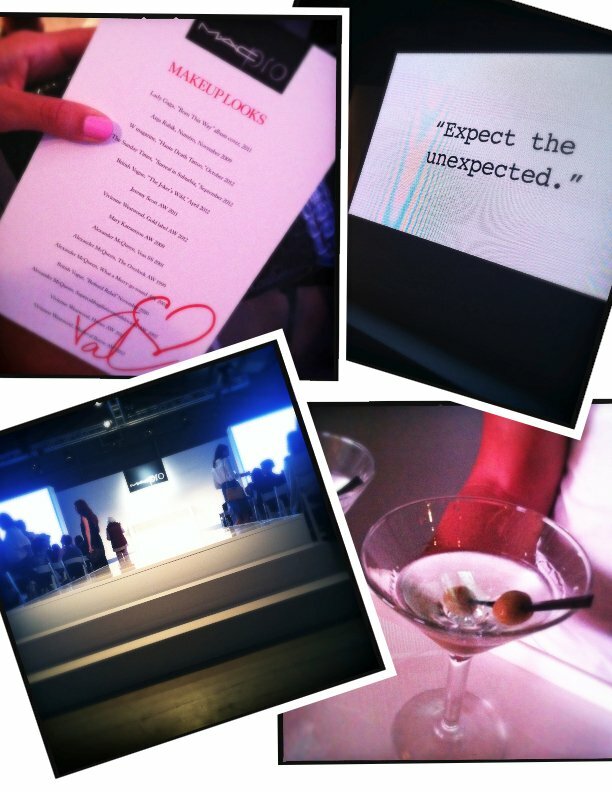 ON A [VIVIENNE] WESTWOOD CATWALK ANYTHING THAT CAN BE DEEMED ABSOLUTELY WRONG IS MOST LIKELY RIGHT. I had a blast learning from the best.. and although I am not a make up artist, know that I will be up nights practicing all of Val’s lessons.. A girls lip can never be too perfect! "YSL… Coloring inside the lines"